So I'm lazy. Or a slacker. Either way, I don't like waking up an hour earlier to eat/ feed my daughter breakfast when we have places to go. That sounds awful. It is the truth. As a teacher in Jersey, and working for Boeing, I never made time to eat breakfast. I took something on the go and ate it in the car or when I got there. This might not be the best habit, and I *may* need to break it by the time the kiddos are in school...but for now, it's how we roll. We realize the importance of a good breakfast. We simply don't make time for it. Smoothies are an awesome answer to this a lot of times. Easily portable, delicious, healthy. However, these smoothies are designed to, ahem, get things moving in the intestinal realm. So there are times that smoothies are simply not the breakfast I'd like to eat because pooping in public is not so much fun. Neither is changing one of those diapers after little miss downs one. 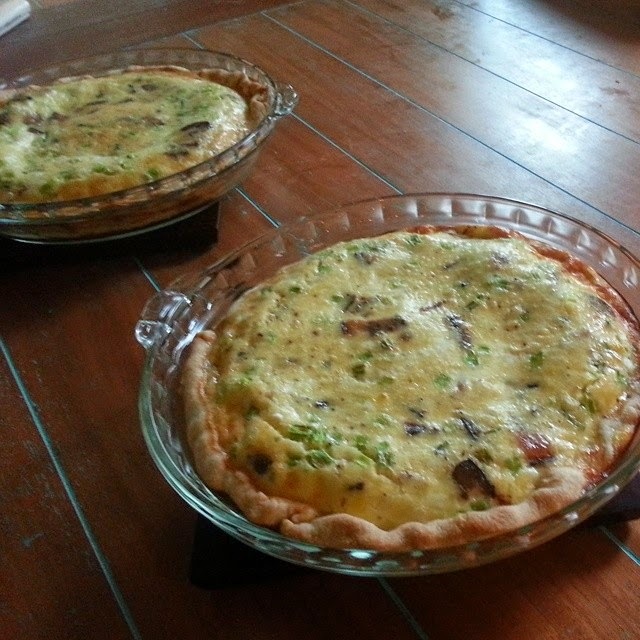 And then, I discovered how much I love quiche. I never did before. Probably because I've never had a good one. But I volunteered to make them for a friend's bridal shower, and I of course looked to The Chew for recipes and HOLY CRAP HOW HAVE I BEEN MISSING THIS MY ENTIRE LIFE. No joke. These things are amazing. So I make them and freeze them and then we heat up some quiche in the toaster oven and bring it with us. Usually to church. When she runs her greasy fingers through her hair after she eats it. You're welcome Rain City. So here are the pics and recipes. Courtesy of Carla Hall. It's posted on a few different recipes of hers, but look I just gave you the recipe for Lemon Meringue Pie too, so lucky you!! This is actually really easy. 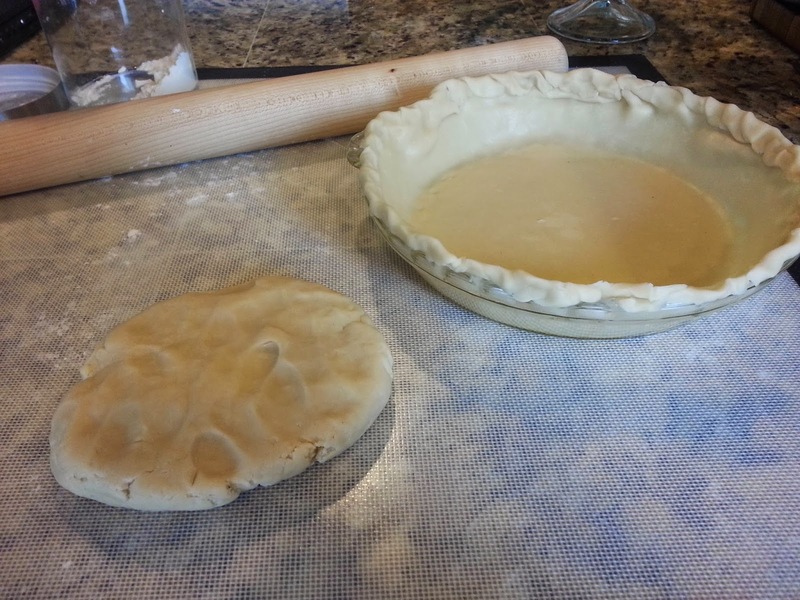 And once you try pie crust from scratch, it's REALLY hard to go back to store bought. Although Whole Foods has an organic one in the freezer section that comes in packs of 2. And a little tip? wrap the top around the pan you're using. I started baking it and it all shrunk in. So the filling ended up coming a little higher than the crust did. Womp womp. Carla Hall QuicheHere's the beauty of this recipe. It's a good base. I changed the ham to bacon because obviously, and added a little more than she suggested because bacon. And used scallions instead of leeks because it's what I had. Use what you like.